Every kind of bead creates addiction...this is something nobody should underestimate. 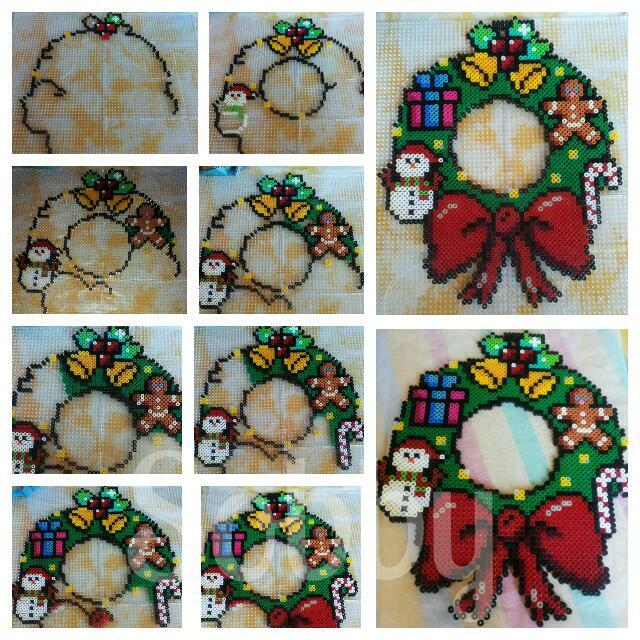 Some time ago I was already playing with Hama beads..or Pyssla...I was just using them as huge sort of Miyuki beads and beadweaving them to create some decorations. Actually it was 2011 and i forgot about them since last week, when i found on Pinterest some amazing projects, made using these beads in the proper way: with pegboard and iron. This scheme is not mine and it's difficult to give credit, since many people used it...I made it in 3 hours and it was absolute fun! I am sorry for the poor quality of my photos but lately i can only use tablet and cellphone..my laptop doesn't want to connect to internet and I feel a bit lost without all my tools and the possibility of using a proper camera for pics. Ha, never knew IKEA carried them, I thought I'd seen them in toy stores. Your creativity has been hibernating for too long, so now enjoy it!